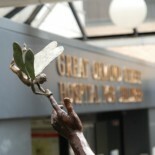 Specialty Lead for Neuropsychology Service, and Consultant Neuropsychologist, Great Ormond Street Hospital for Children. British Neuropsychological Society, British Psychological Society, European Brain & Behaviour Society, Federation of European Neuroscience Society, Experimental Psychology Society, International Brain Research Organisation, Society for Neuroscience, Society for Cognitive Neuroscience. Over the past decade raised £4,799,414 in grant funding (£3,609,243 as principal investigator), including two consecutive programme grants from the Medical Research Council. Established the UCL Centre for Developmental Cognitive Neuroscience (CDCN), an interdisciplinary, cross faculty, and cross theme initiative that promotes research and training within the field of developmental cognitive neuroscience across UCL and its partner institutions. The CDCN has over 500 members and holds three workshops per year, a monthly seminar series, publishes documents to influence policy relevant to the field, and disseminates information (see, Public Service Review, Science and Technology Journal, Issue 5, pages 100-101; Open University Publication: April 2012; Early Childhood in Focus: Developing Brains). Reviewer for granting bodies both nationally and internationally (e.g. Wellcome Trust, Economic and Social Research Council, Science and Engineering Research Council of Canada, NIH, National Health and Medical Research Council of Australia). Ph.D. examiner for students both in the UK and internationally. The Birch Lecture: Developmental memory disorders. International Neuropsychological Society Portland Oregon. COGDEVNEURO 2013, University of Reading (5 September 2013) Title: Hypoxia-ischaemia, hippocampal damage, and memory impairment: A causal sequence? Chaucer Club, MRC Cognition & Brain Sciences Unit (24th October 2013) Title: Neonatal hypoxia, hippocampal damage and episodic memory impairment: A causal sequence?